Although Boca Raton is widely known as a place for retirees, the area is actually changing and evolving constantly with the population of young people growing. Boca Raton is full of luxury. The quality of the schools are among the best in Palm Beach County; this fact makes it a great spot for families who are interested in Boca Raton Property search and looking to raise children. Living in Boca Raton comes with a lot of excitement for both, young and old folks. The greatness of Boca Raton lies in the midst of the many activities to do, the beaches, the art galleries and museums, beautiful weathers, gorgeous properties and diverse communities. For Boca Raton Property Search click here! Most people living in Palm Beach Gardens call it a paradise. Whether You are a tourist or a resident of the area, there is always something available to do. It is an area full with entertainment in its downtown area, rich in nature, plenty of restaurants and offer closeness to the beach. Due to increase interest in living in the area, more palm beach properties are being built to accommodate the needs of people who are falling in love with the communities. The neighborhoods are some of the friendliest in the region. I is perfect for a new family and offers plenty of activities, excellent for the retirees who are looking for a relaxing place to relocate to and amazing for the singles who are just looking to enjoy life with some fun. Regardless of who you are, you can explore the luxurious palm beach properties and get more information on open house Now. Wellington is one of the villages in Florida that enhance the fact that it takes a village to raise a child. It is one of the most populated places in palm beach county, especially during the winter season. Wellington is known to be one of the most famous equestrian place in the region and is full of polo and equestrian activities. Over half of the population is made up of Caucasians with some trace of diversity still present. Among Palm beach property search, Wellington is well known as a clean and safe haven, it contains a lot of gated communities which makes for even safer surrounding. Residents feel at home in the communities and the crime rate is very low. For residents looking to enjoy the lifestyle of the rich and all the amenities that comes with it, Wellington is the place to call home. If You are looking for the perfect home for a family, Jupiter is the place. Jupiter is a smaller town that is great for raising families. It has one of the best school systems in the region of southern Florida, whether you are looking for private schools or public schools. There are many activities for the residents to partake in. Whether one wishes to go for a boat ride, enjoy family time with loved ones or even partake in sports activities, there are plenty of things to do in Jupiter. It is said to have the best water system in the region with the community being among the safest. The area is very pet friendly, yet very clean and quiet. 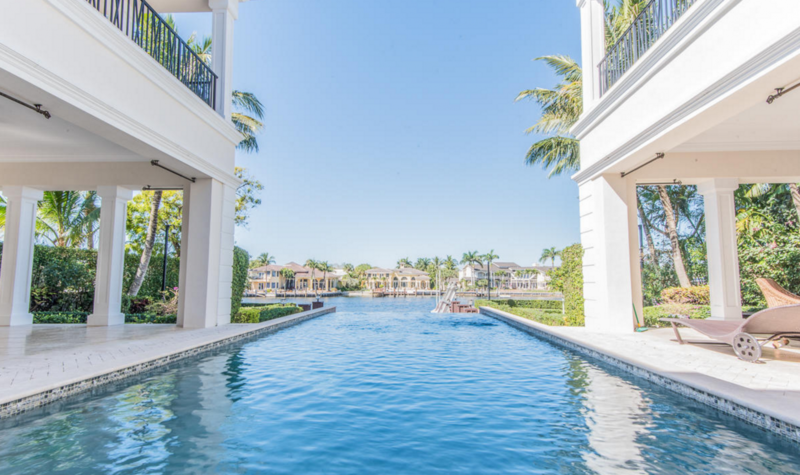 When it comes to Palm Beach property search, Jupiter is at the top of the list for anyone looking for a small town vibe and safety. For a look at properties in the area, click here. Miami Shores is located in Miami-Dade county and features many Golf courses. The area is a very diverse with a mix of cultures. With that comes various choices of food choice when it comes to eating out. Miami is close to surrounding cities where many shopping options are available and even more diverse restaurants to choose from. The residents are very strict in maintaining their landscapes and keep the area as clean as possible. It is a good place for just anyone who wishes to relocate. Regardless of marital status there is a lot accessible from living in the area. Even for the singles who are excited about their nightlife, Miami Shores is just under an hour away from downtown Miami. It is also close to the beach, so it has something for everybody. Coral Gables is one of the most beautiful area in the county of Miami-Dade. It is full of Gorgeous scenery. Coral Gables is very diverse with Hispanics making up most of the population. It is a paradise for family. The homes are beautiful and styled with a mixed of modern and traditional look. The neighborhoods are very safe to walk through. It is a great area with a rich feel to it. Coral Gables is known for its gated communities. Properties in the area are very well worth the prices, considering the fact the area is full of sites to visit, it is close to the main airport and also has tons of activities to partake in. Coral Gables is one of the best neighborhood to live in. Safety is a priority in the communities here. Coconut grove is an upscale neighborhood that offers a lot of convenience to the residents living in the community. It is full of greenery which makes for beautiful sites; it’s also close to the water. The area is great for families and even those who are single. The schools in the area are amazing. There are many events and activities so it stays awake. It’s a very tropical area made up of residents from different cultural backgrounds. Although Coconut Grove is a great place to go to for a break from the city, it’s still convenient for the singles who love the nightlife. With the livelihood of it, it makes for one of the best places to live at in South Florida. Palmetto Bay is a great family neighborhood. Everything is convenient living here. Plenty of activities in reach for kids and adults. There are plenty of shopping places in Palmetto bay. Although it is located in the county of Miami-Dade, it feels different from other towns. Safety is pretty much guaranteed with Government officials patrolling the streets. Access to the ocean is convenient. Palmetto Bay has some of the best public schools and even some private schools. Living in Palmetto Bay makes it easy to access other areas of the region and enjoy even more activities. Parkland, Florida is a residential neighborhood that prioritizes in safety, whether in the schools or the neighborhoods. majority of the residents in Weston are of South American background. The area is great for those who love to go on walks or bike rides. it is a very active area to live in, yet very safe. Overall it is a safe, quiet neighborhoods for families to live in. The properties in the areas are of great values, very colorful and clean area to live in.. The schools are some of the best and offer quality education. For ,major activities and attractions, nearby cities are easily accessible. Cooper City is a nice little suburb in Broward County. It is usually recommended by realtors for families with children. over half of the households in the area are made up of families with children. The public schools in the area are top rated throughout the nation. There are many activities offered through the community for families to enjoy quality time. Many parks and outdoor activities are accessible for the residents of the area. Cooper City is a fast growing community because of its location and how easy it is to access other areas. The friendliness of the community makes it a great area to locate to. Although South Florida is usually spoken of as a region for the retired elders, Some of the Neighborhoods offer a lot for those who are looking to relocate or start a family. For properties and open house information, take a look here.